Handmade porcelain pouring bowl with tactile dimples, in a choice of small or medium size. Available in four colours: pale blue, turquoise, pink or grey. 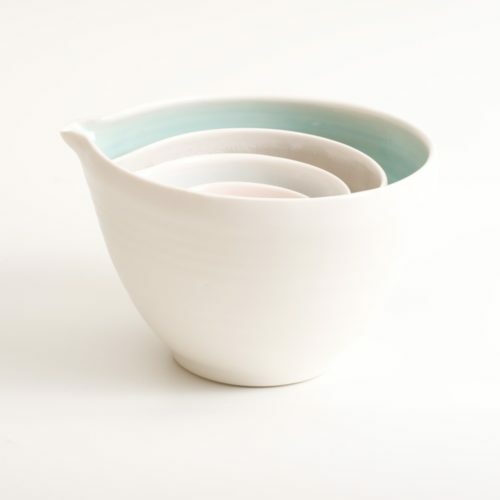 Handmade porcelain dinner set with three pieces: Bowl 16cm, small plate 21cm, medium plate 26cm. 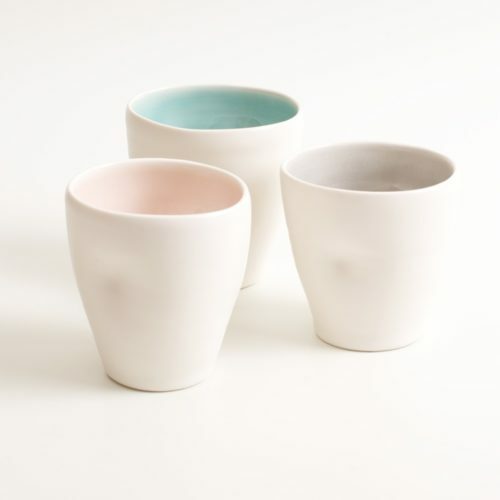 Hand thrown with natural ridges and a delicate colour inside. Thrown on the potter's wheel by Linda Bloomfield in London. Available in 4 colours: Pink, blue, turquoise and grey.